Physician Fraud and Abuse Law Defense Lawyer - Oberheiden, P.C. 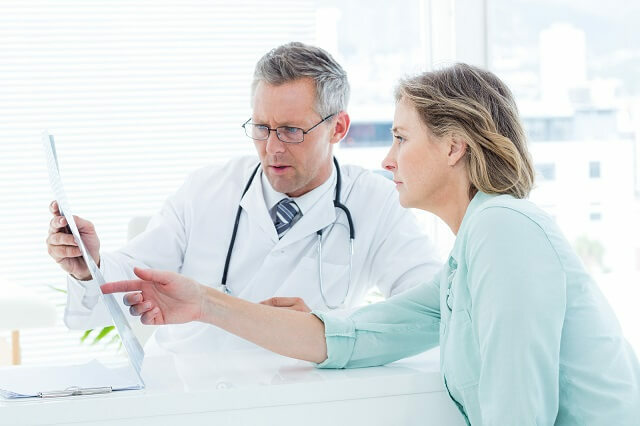 The purpose of this overview is raise awareness among physicians (or to remind them) of important laws that apply to their practice and underlying business transactions. Due to the constraints of this paper, a detailed account or legal analysis cannot be provided. For those interested in more information, the attorneys of Oberheiden, P.C. will be happy to answer questions and to provide more information in a free consultation. After all, ignorance of the law is no defense. Providers may be charged with actual or expected knowledge (“should-have-known”); thus, a specific intent to violate the law is not required for liability to the government. Federal and state law enforcement agencies including the Department of Justice (DOJ), the U.S. Attorney’s Office (USAO), the Department of Health and Human Services (DHS), the Office of Inspector General (OIG), the Centers for Medicare and Medicaid Services (CMS), and the Federal Bureau of Investigation (FBI) are in charge of monitoring and enforcing these statutes. The Anti-Kickback Statute makes it a criminal offense to knowingly and willfully offer, pay, solicit, or receive any remuneration to induce or reward referrals of items or services subject to a federal health care program. Even if an arrangement implies the Anti-Kickback Statute, so-called safe harbors may nonetheless provide exceptions and protection provided that the specified and enumerated elements are met, 42 C.F.R. § 1001.952. Penalties for violating the Anti-Kickback Statute in the absence of an applicable safe harbor include civil prosecution for damages and treble damages, criminal prosecution, civil fines, criminal fines, and imprisonment. The False Claims Act imposes significant civil liability on any person who knowingly submits or causes to submit a false or fraudulent claim to the federal government. “Knowingly” in this context does not require specific intent to defraud the government. It is sufficient to act in deliberate ignorance or reckless disregard, also known as the “should-have-known” standard. If, for example, claims are submitted with a wrong billing code or without medical necessity, the False Claims Act will already apply simply because the provider (or its billing staff) should have known the falsity of the claim. Penalties for violations of the False Claims Act include recoupment, damages, treble damages, and costs incurred by the government. In more extreme cases, the False Claims Act also contains criminal penalties such as criminal fines, felony charges, and incarceration. The Physician Self-Referral Law (Stark Law) prohibits a physician from making a referral for certain designated health services to an entity in which the physician or an immediate family member of the physician has an ownership interest, investment interest, or a compensation arrangement unless an exception applies. Examples for designated health services are referrals to toxicology laboratories, x-ray referrals, and DME. Stark Law violations may include fines, civil prosecution, criminal prosecution, and exclusion from the list of accepted healthcare providers. Healthcare Fraud, 18 U.S.C. § 1347, makes it unlawful to knowingly and willfully execute, or attempt to execute, a scheme or artifice to defraud any health care benefit program, or to obtain by means of false or fraudulent pretenses, representations, or promises any of the money or property owned by, or under the custody or control of, any healthcare benefit program in connection with the delivery of or payment for health care benefits, items, or services. Penalties include criminal fines, incarceration, or both. In order to be convicted of health care fraud under 18 U.S.C. § 1347, the government does not need actual knowledge of wrongdoing, let alone specific intent to violate the law. Oberheiden, P.C. is a team of former federal prosecutors and experienced attorneys that are committed and dedicated to assist you when you need help. We have cleared physicians, nurses, marketers, business owners, hospitals, laboratories, pharmacies, compound pharmacies, chiropractors, physical therapists in healthcare investigations across the country. The following attorneys are among the most respected healthcare lawyers in the country— so don’t waste your time with secretaries and junior lawyers. The attorneys of Oberheiden, P.C. have handled thousands of federal cases in courts across the country.